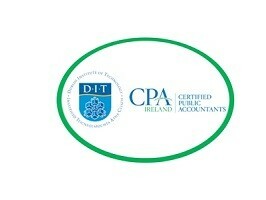 This course is the only combined Level 9 Masters and CPA Professional Accountancy Qualification in Ireland. This two-year Masters Programme and additional one-year work placement will see accounting trainees earn a Master’s Degree and CPA Accounting Qualification in one. The programme allows students the opportunity to study advanced modules in accounting which are grounded in theory and applied in practice. A distinctive feature of this programme is that it offers students an opportunity to engage in work based learning simultaneously with their academic studies. Semester Structure: 2 academic semesters per year (1+2), 15 weeks per semester, 13 weeks of lectures each semester, 2 weeks of exams each semester, 4 Days per week (Monday to Thursday) Year 1 and 2. Classroom Based Learning (DIT): One day per week. Qualifications: Earn two globally recognised qualification in one. The only combined qualifications in Ireland. Employment Opportunities: CPA Ireland work with employers countrywide and help place students in employment as part of the Programme. Earn while you learn – Earn two qualifications while in full time employment CPA is the most commonly used designation worldwide for professional accountants – trainees earn a qualification that travels with you. 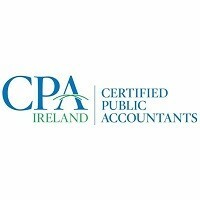 Who can apply: This programme is for anyone who are exempt from or passed CPA Ireland’s Formation 1, Formation 2 & Professional 1 stages of exams.